Blimey! Cypress and Spansion are to merge in a $4bn deal that will change the landscape of the embedded market and potentially mark more consolidation. The key area for this deal is of course memory - Spansion was the spin off of AMD's flash memory business, while Cypress started out making SRAMs and has since moved into other controller-based devices. As a result the combined company will have annual turnover of $2bn and be the leader in SRAM and in NOR flash, and be a major player in microcontrollers - Cypress is well established in ARM-based microcontroller designs alongside its PSoC capacitative touch screen controller, while Spansion has recently been adding ARM cores to its memory devices. Although the deal is pitched as 50/50 - which is itself often a problem for deciding the direction going forward - it actually looks like a Cypress takeover. Cypress founder and long term CEO TJ Rodgers will be CEO of the merged company while Ray Bingham of Spansion will be non-executive chairman and the company will be called - wait for it - Cypress Semiconductor. The merger is expected to achieve more than $135 million in cost synergies on an annualized basis within three years and to be accretive to non-GAAP earnings within the first full year after the transaction closes. The combined company will continue to pay $0.11 per share in quarterly dividends to shareholders. The closing of the transaction is subject to customary conditions, including approval by Cypress and Spansion stockholders and review by regulators in the U.S., Germany and China. The transaction has been unanimously approved by the boards of directors of both companies. Cypress and Spansion expect the deal to close in the first half of 2015. What other consolidation will happen remains to be seen but memory companies particularly will be vulnerable - the most notable recent deal was Global Foundries being paid to take on IBM's semiconductor business. I expect to see some other 'mergers' based around the Internet of Things as companies position themselves for growth i the next few years. 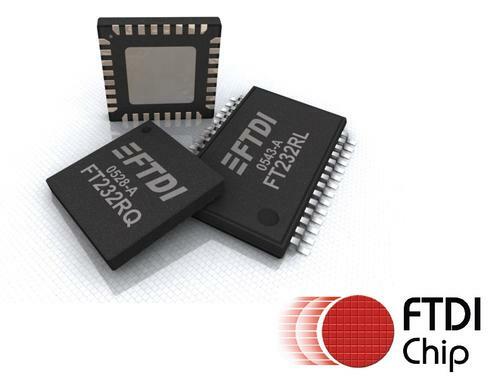 Glasgow-based USB chip designer FTDI is facing a storm of criticism after a new driver was released for its FT232R USB-to-UART bridge chip, but the problem was not with FTDI's chip. Instead it was with counterfeit devices that people had bought over the Internet thinking they were genuine FTDI parts. The driver did not work with fake chips, effectively "bricking" people's USB interfaces, and highlighting the problem that many embedded chip maker face with counterfeit parts. FTDI has responded well. "We have temporarily suspended the driver from being downloaded. We will investigate what is happening in the current driver and, in the fullness of time, reinstate the driver download, and if there's something we need to alter in the driver, we will do that," said Gordon Lunn, global customer engineer support manager at FTDI. He points out that mainstream customers haven't had a problem and that this becomes an opportunity to remove fake devices from the supply chain and replace them with genuine parts. "We want to take the positives from this and work with people that want to buy genuine parts, and we are sorry if we have inconvenienced people who thought they were buying genuine parts, and we'd like to work with people to stop it at the source," he said. "We take each case on an individual basis. If a customer is willing to work with us and help us track down the source, then perhaps we would enter negotiations on a goodwill basis. I can't rule out working with individuals. It has to be considered." "Ultimately, we are challenging the counterfeiters," Lunn said. "We want to maintain the quality and supply chain. Our distributors all have an investment in FTDI, which we are trying to protect, and we test our parts so that we produce the best output with genuine devices." The company doesn't want its products to be compatible with "nongenuine devices," he said. "They've not had to invest in IP or driver development. There's no marketing collateral. There's no certification test, so they save a lot of expense." However, the company has specifically said there is no "fake detection" algorithm in the driver. There is also a potential security issue (highlighted last month at EETimes) with microcontroller-based USB devices being reprogrammed with malware. "Our understanding is we think they are microcontroller based, so they are potentially more vulnerable," Lunn said. "You can't change what a genuine device actually does." This is also important to FTDI's brand. "The reliability of these unknown devices is also unknown, so you can't guarantee how long they will last," he said. "But people still come back and think it's the FTDI parts failing, so we have to try to weed them out if we can." Imagination Technologies is placing apps at the heart of its push to get the MIPS architecture adopted for the Internet of Things. a range of operating systems, starting with a Microchip-based chipKIT WiFire board from Digilent. The chipKIT WiFire board is a development platform that uses Microchip’s 32-bit PIC32MZ microcontroller with a MIPS microAptiv CPU. Imagination and partners will deploy FlowCloud support for other MIPS-based Android/Linux development boards in the near future. The board is accessed and configured via the FlowCloud Getting Started app through an intuitive user interface that is intended to make embedded IoT development easier. A user’s FlowCloud account is free-of-charge and allows up to five connected devices. FlowCloud provides an application-independent underlying platform that enables rapid construction and management of machine-to-machine and man-to-machine connected services through a set of modular infrastructure capabilities and underlying services that provide building blocks to accelerate deployment of cloud based applications. The infrastructure also provides secure asynchronous messaging and end-to-end connection establishment. The baseline FlowCloud service includes registration, authentication, association, security, notifications, updates and remote control. Optional plug-ins to accelerate time to market include FlowTalk (VoIP), FlowFunds (payments), and others. This allows users to build a wide range of applications, including security, personal and professional health monitoring, energy management, and cloud-based systems for content delivery as FlowCloud technology minimizes the resources required to make a product fully connected, bringing together people, devices and services in a platform for easily building connected applications and businesses. utilize in the development process. The chipKIT WiFire is only available through Digilent and builds on the previous chipKIT development boards with a significant processor performance increase over the previous generation. Users can get started with FlowCloud for the chipKIT WiFire at http://flow.imgtec.com/wifire. The chipKIT WiFire is priced at $79 (U.S.), and can be ordered today from Digilent at www.digilentinc.com/wifire. Bath startup Thalia Design Automation has raised its first equity funding to commercialize natural algorithms such as those used by ants for analogue, mixed signal and power design tools and is set to launch the beta versions of two new tools. 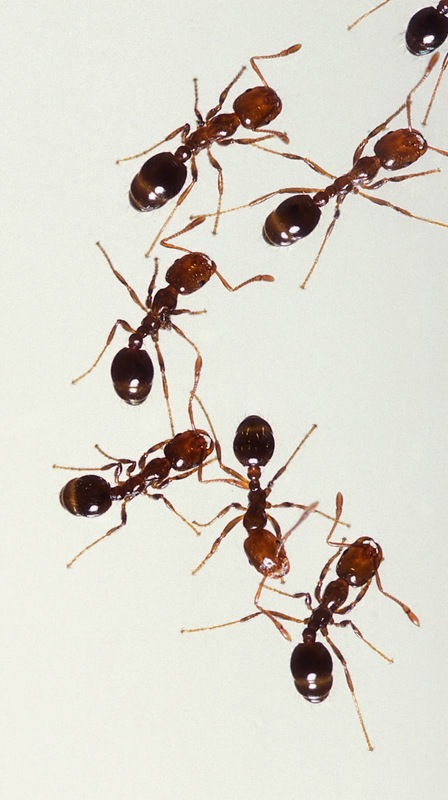 The key is that the Amalia and Emera tools use algorithms borrowed from natural processes such as ant movements to optimize placement and routing in these designs. This is traditionally regarded as a black art, needing highly skilled and scarce engineering resource, relatively long design cycles and often multiple design iterations to get to a production product, so using natural algorithms is a way to automate the design process further. Optimizations which typically took several days to weeks to complete can now be performed in a matter of hours says the company. A further benefit is that the toolsets can be used to rapidly retarget existing designs to alternative silicon foundries for cost reduction and sourcing flexibility. Thalia has now completed its initial equity funding round with Mercia Fund Management and Finance Wales. 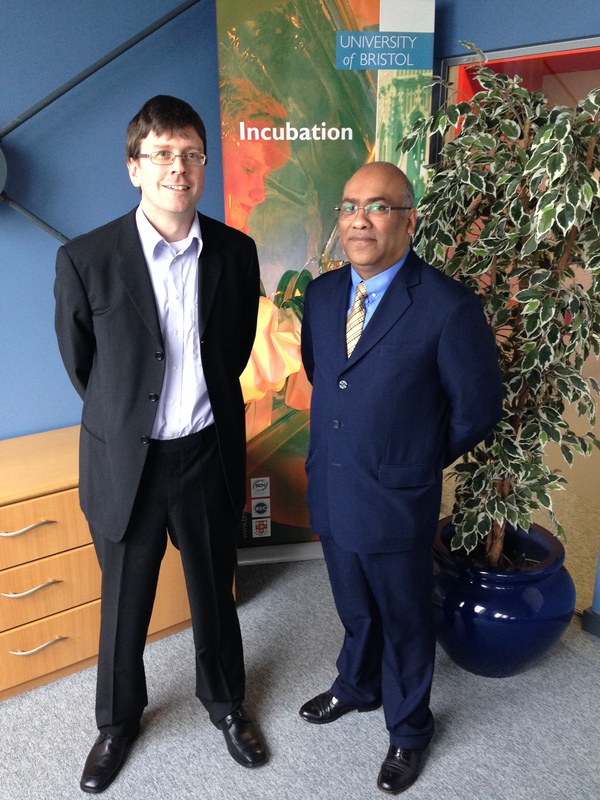 In addition the company has secured grant support from the Technology Strategy Board (TSB) and the Welsh Government. Thalia provides two suites of EDA design tools; AMALIA, an intelligent analogue design optimisation & automation toolset and EMERA, a unique power device optimiser, schematic and layout generator. As well as offering these tools on a time-based software license, Thalia will also offer a design optimisation service directly and through partners. "The Heartbleed security bug is a key example of the fundamental security challenge for the Internet of Things says Green Hills Software as it launches a new security group." ARM is moving its future compilers to open source under the LLVM license in a fundamental shift away from proprietary technology. ARM Compiler 6 supports the coming 64bit ARMv8 architecture and will be integrated into future versions of the DS-5 development suite for high and system on chip development. This will also become the basis of the compiler for microcontroller projects. "The benefit for our users is greater feature velocity from open source," said Daniel Owens, product manager for software development tools at ARM. "The ARM v8 backend is in open source today as it goes into open source first, then we pull it back in for integration and testing in DS-5. V8 will be supported out of the gate and then V7A and R and that will happen by the end of this year and then following on is V7M and that's probably 2015 so Keil will stay with V7 through that time, he said. Texas Instruments has unveiled the industry’s fastest 16-bit digital-to-analogue converter (DAC) running at 2.5Gsamples per second with a four channel version providing 2GHz of information bandwidth for basestation and signal processing applications. The DAC38J84 and DAC38J82 provide the bandwidth, performance, small footprint and low power consumption needed for multi-mode 2G/3G/4G cellular base stations to migrate to more advanced technologies, such as LTE-Advanced and carrier aggregation on multiple antennas. The DACs support up to 2 GHz of information bandwidth for wideband power amplifier digital pre-distortion, millimeter wave backhaul infrastructure, signal jamming, radar and test equipment. Debugging multicore devices in deeply embedded systems is a key problem for designers. PLS Programmierbare Logik & Systeme has launched the latest version of its Universal Debug Engine (UDE) 4.2 with enhanced control and test methods for a wide range of 32bit multicore System on Chip (SoC) targets and optimized visualisation options during system level testing. Individual cores can be specifically selected and also synchronized for control by the debugger. This also includes the extensive use of existing on-chip trigger and synchronization options of various device manufacturers. With the UDE 4.2, the consistent user interface ensures the greatest possible flexibility when controlling a multicore target, without the need to know the underlying on-chip logic in detail. The trace framework of the Universal Debug Engine 4.2 has also been equipped with numerous new features. For example, relocation of the data processing in a separate process not only increases the speed of the evaluation, but also allows persistent storage of trace sessions for analysis at a later time without direct access to the target. Furthermore, comprehensive filters and the possibility to individually color recorded events of various trace sources simplify a clear presentation of the results. An enhancement of the proven Universal Emulation Configurator (UEC) of the Universal Debug Engine (UDE) ensures an even more efficient use of the emulation devices offered by Infineon, Freescale and STMicroelectronics for some SoCs. Programming of the additional trigger logic contained on the emulation devices is performed by a graphical configuration of trace tasks, by which signals and actions are linked via a state machine. Ultrasonics slash cost of gas sensors: A gas sensor using ultrasonic measurements is set to slash the cost of medical monitoring. The new ultrasonic sensor uses patent-pending technology developed by TTP in Cambridge to precisely measure the speed of sound in a gas to determine its composition. While current infrared gas sensing devices for carbon dioxide can cost over £240 and paramagnetic systems for oxygen around £120, TTP believes that its new SonicSense devices will cost between £3 and £6 each in volume production. Potential medical applications include respiratory monitoring, anaesthesia and heart monitoring. UK tech sector records best growth performance for almost a decade: The UK tech sector has seen its best performance in almost a decade according to a new report from KPMG/Markit Tech Monitor. ITTIA has introduced version 6.0 of its flagship database software, ITTIA DB SQL, which brings new intelligence to data management on embedded systems and devices with true peer-to-peer replication.